Kiran Mazumdar-Shaw's tweet comes on a day Walmart group acquired a controlling stake in Flipkart for about $16 billion. India's largest e-commerce company, second largest IT services exporter and a biotechnology major share one thing in common: Koramangala, Bengaluru. A suburb in the south-eastern part of Bengaluru where Flipkart, Infosys and Biocon were born. That's not about it. All these offices were rented, says Biocon chairperson Kiran Mazumdar-Shaw on microblogging site Twitter. And Ms Mazumdar-Shaw's tweet comes on a day Walmart group acquired a controlling stake in Flipkart for about $16 billion - the biggest acquisition by the US retailer. Terming Koramangala as a "lucky suburb", the Biocon chief said: "Infosys & Biocon also started in rented offices in Koramangala..." Ms Mazumdar-Shaw, founder of Biotech, also serves as independent member of the board of Infosys. 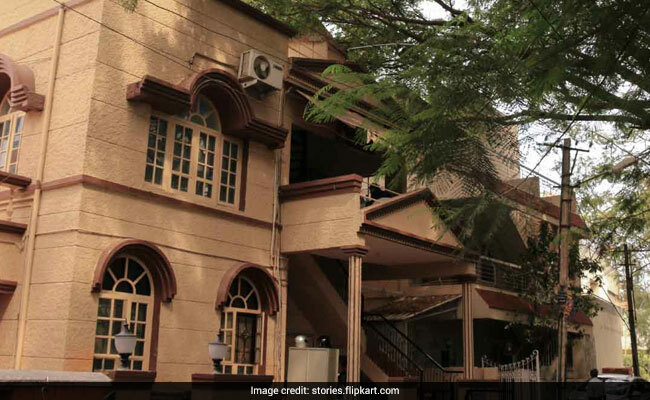 The first storey of a two-storey Bungalow in Koramangala became the first office from where Sachin and Binny Bansal founded the e-commerce start-up Flipkart in 2007 that later turned into India's first unicorn. Located in 447-C, 12th main, Koramangala, the bungalow is located in a leafy lane of a residential suburb that is now inundated with scores of restaurants, restro-bars and fitness centres, according to Flipkart Stories, the official website that publishes latest news updates about the e-commerce company. Flipkart sold 77 per cent of its stake to Walmart group in a deal that values the 11-year-old company at $20.8 billion. And it's not just Ms Mazumdar-Shaw who thinks Koramangala is lucky. SM Fathaulla, a retired government employee, who owns the 447-C, 12th main, Koramangala property also thinks so. "...447-C - the office that had been blessed by Lady Luck," an article on Flipkart Stories cites Mr Fathaulla as saying. "For many years, the genial landlord recalls warmly, Sachin called on him in person to pay the rent," it reads. Besides the three industry leaders - Flipkart, Infosys and Biocon, other major companies headquartered in Bengaluru include Wipro, Britannia Industries, GMR Group, Tata Coffee, Strides Shasun and Shapoorji Pallonji Group.